Iceland has been on a Prog map in the recent years, giving birth to some great bands (check our Scene Report on Iceland here). 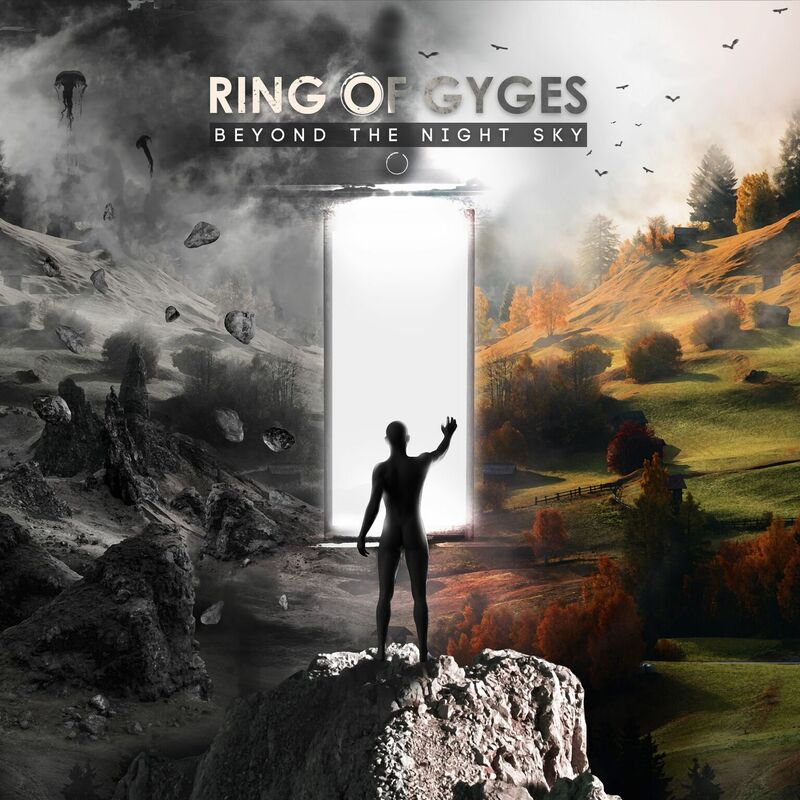 Ring of Gyges is a newcomer, who back in November 2017 launched their full-length debut album ‘Beyond the Night Sky,’ and according to what they showcase on it, it is certainly a band to look for in the coming years. Singer and guitatrist Helgi Jónsson spoke for Prog Sphere. Define the mission of Ring of Gyges. We strive to mix influences and create a unique mix of old prog and new. What motivates us to write music is simply our passion for music in general, and the prospect of one day making it a full-time job for all of us. Great music affects you in ways that nothing else truly can, and if we can affect anyone in the same way that music has affected us, it will all be worth it. Tell me about the creative process that informed your debut album Beyond the Night Sky and the themes it captures. The album was a long time in the making and lots of those songs had already existed for years before we ever entered the studio. Most of the songs were created in our own respective homes, where one of us made a demo and we checked them out at home and then met up at rehearsal to work on them together. However, each song is different and requires a different approach to the next one. Sometimes a song is completely written before the rest of the band is introduced to it, sometimes it requires a bit of group effort to decide how to proceed with it. Most of the songs were written by me and Guðjón [Sveinsson, guitars & vocals], but there’s also a song by Gísli [Þór Ingólfsson, keyboards & piano] on there and everyone brought something to the table. The album deals with themes such as escapism, addiction, and death. It was originally intended as a concept album with a storyline but eventually we scrapped that idea and decided to make a more thematic album instead, with various short stories that all relate to an overarching theme. What is the message you are trying to give with Beyond the Night Sky? That’s something we didn’t really discuss between us, but I guess what we’re trying to say is that no matter how bleak a situation is, there’s always someone willing to stand by your side. Escaping your problems is ultimately a temporary solution, and though it may be hard, it’s better to face them instead. Like I mentioned before, every song requires a slightly different process. Most of the time we had demos at home, but I guess we mostly just documented the songs by learning them and rehearsing them collectively, adding onto them as we went along during rehearsals. We’d already played a lot of them live by the point we entered the studio, so obviously we knew them fairly well at that point. Other songs we weren’t so familiar with, so in those cases we usually had demos to work with. We really tried to make the album flow as well as we could, so it would feel as a whole experience and not merely a collection of songs. Some songs were written to flow well together, like the first two tracks and the last two. In other parts of the album it was a bit more of a puzzle, but I think in the end we settled on a structure that we all liked. If we did our job well, the album is best enjoyed when listened to in its entirety, just like all our favorite albums. Our guitarist Guðjón had enrolled in a music production course at Stúdíó Sýrland in Reykjavík where one of the assignments was to record a full album with a band, so of course we jumped on that wagon. We had some restrictions to deal with though, we had to record during hours when the studio was available so we had to record in a series of sessions of varying length. Some bands can just book a studio for a few weeks and dedicate that time to recording, we weren’t so lucky. Like when we recorded the drums we couldn’t leave the drum kit in the same place for more than one evening because a different recording session was scheduled the following day. We knew that if we had to reassemble the drum kit and the microphone setup sometime later, we couldn’t possibly make the drums sound the same between sessions. So instead we decided to record through the night in a single monster 17-hour session, poor Einar got so tired I think he still might be recovering! We didn’t get around to completely record the album before Guðjón‘s assignment was due, so luckily we had access to a smaller studio in Grindavík where we could put down the final touches. We also booked a session at the legendary Sundlaugin Studios, where we recorded a real Hammond organ and Mellotron. How long Beyond the Night Sky was in the making? The recording process was over in a matter of months, maybe two or three total. However, the processes before and after took much longer. Some of the songs were written up to two years before we ever started recording. The post-production was also a bit of a mess, we’re an unsigned independent band so we had to do a lot of the labour ourselves, Guðjón had to mix during his free time when he wasn’t working. We had a crowdfunding campaign to fund the mastering and release of the album and we reached our goal in the end. So I guess, depending on your definition, the total process must’ve been around three years. Releasing the album was a huge relief and the end of an era in our band’s history, while also being the start of another one. It’s hard to see where all of your influences come from, but here are some names: Opeth, Haken, Dream Theater, Porcupine Tree, Steven Wilson, Genesis, Yes, King Crimson, Mastodon, Caligula’s Horse, Leprous, Agent Fresco. We owe a lot of our success to technical advances in music production, and without it this album possibly wouldn’t have ever been made. Nowadays everyone has the capability to make demos in their bedroom, you can move ProTools sessions between studios and so on. However there’s a limit to how much some bands decide to over-produce their music, some even go as far as quantizing the guitars, auto-tuning vocals and using drum samples instead of actually having to learn your parts and play them properly. I believe no technology is inherently bad, what makes the difference is how you use it. Don’t alter the recordings beyond recognition in the studio and get confused when people boo at you onstage because you can’t play it properly. Keep it real. I don’t think so. Maybe it will help people deal with some stuff in their lives, but if it does it’s a fortunate side-effect rather than an inherent purpose. I believe music is the purest art form, it transcends language, culture, nationality and race and can be understood by anyone simply for what it is. Lyrics belong to the realm of poetry, but music itself is a universal language of its own. Our plans are to tour, get management and try our very hardest to do music for a living. Right now it’s pretty undetermined what will happen. We’ll have to wait and see. Follow Ring of Gyges on Facebook.